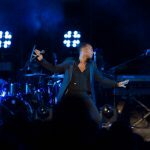 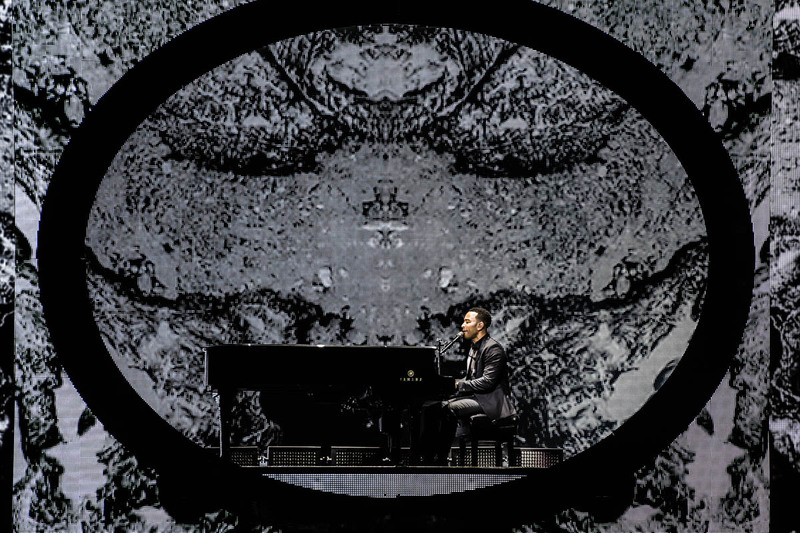 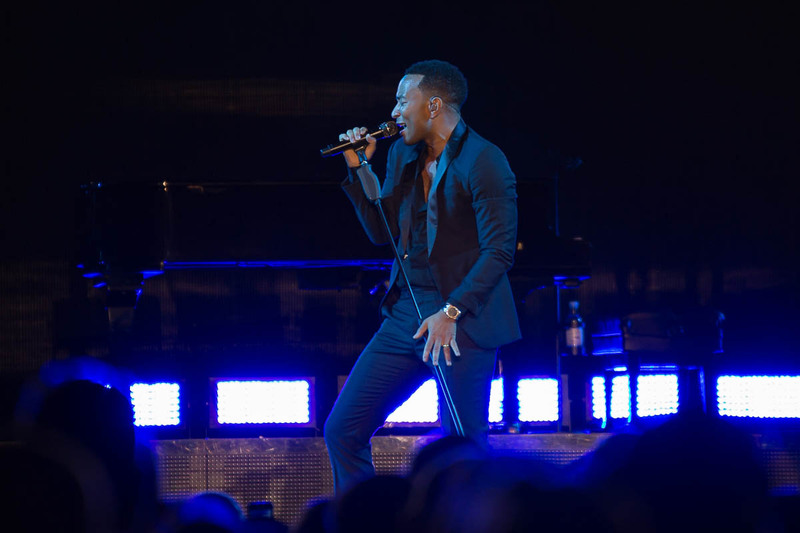 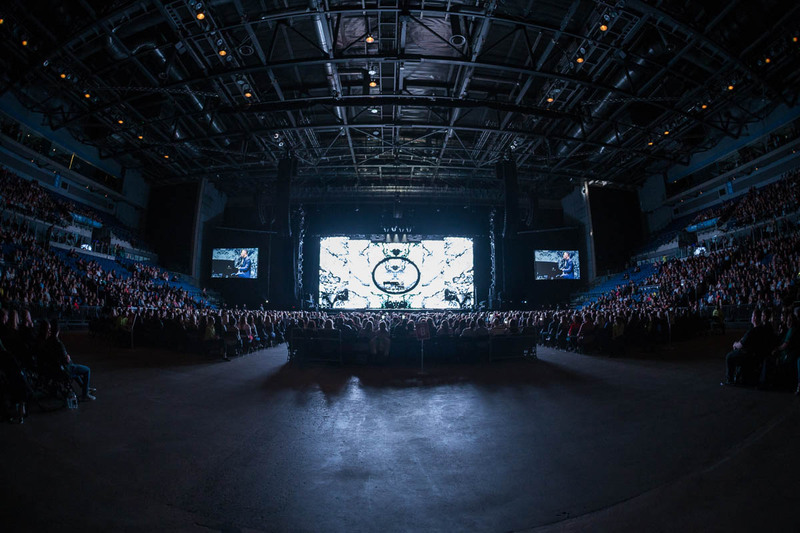 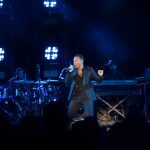 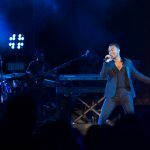 John Legend appeared right on time and in fine style: elevated behind a giant circle, bathed in black and white and sat ready at his grand piano, with rapturous applause ringing around the ECHO arena. 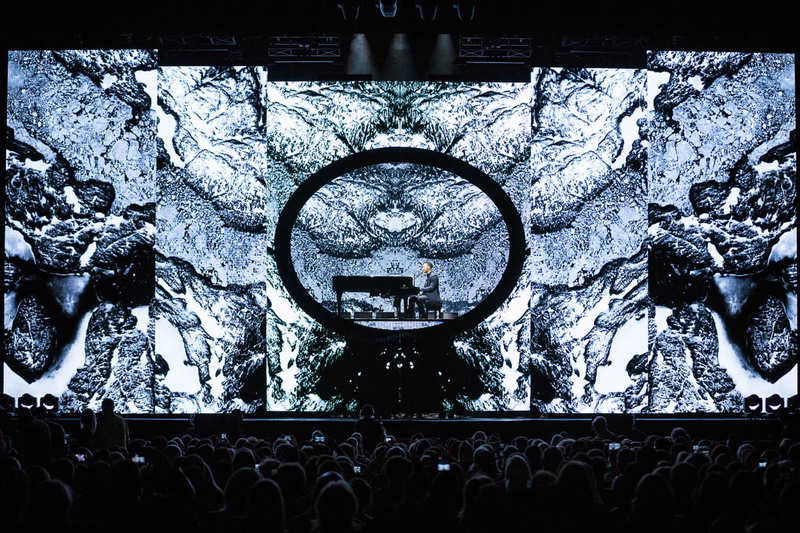 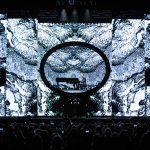 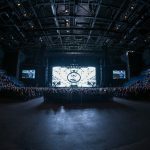 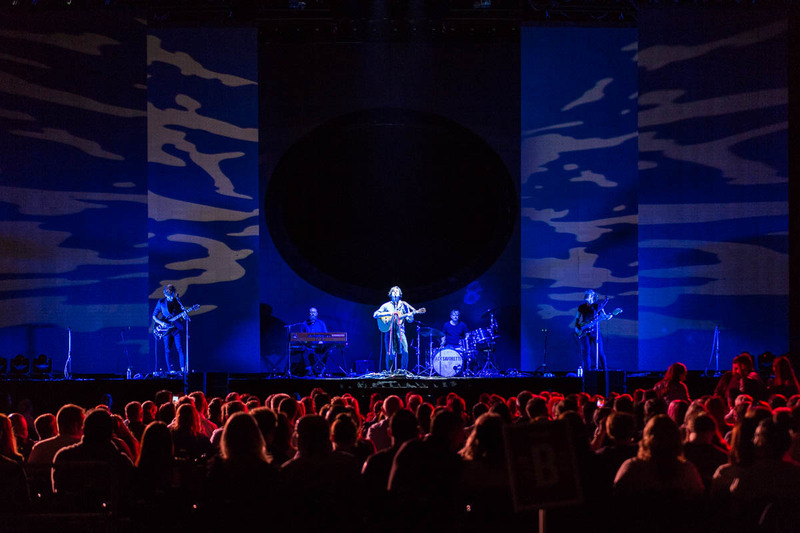 It turned out to be a soulful if not exactly blistering start to the night, with the opening third of his set almost entirely drawn from last year’s album Darkness and Light which lends its name to his current tour. 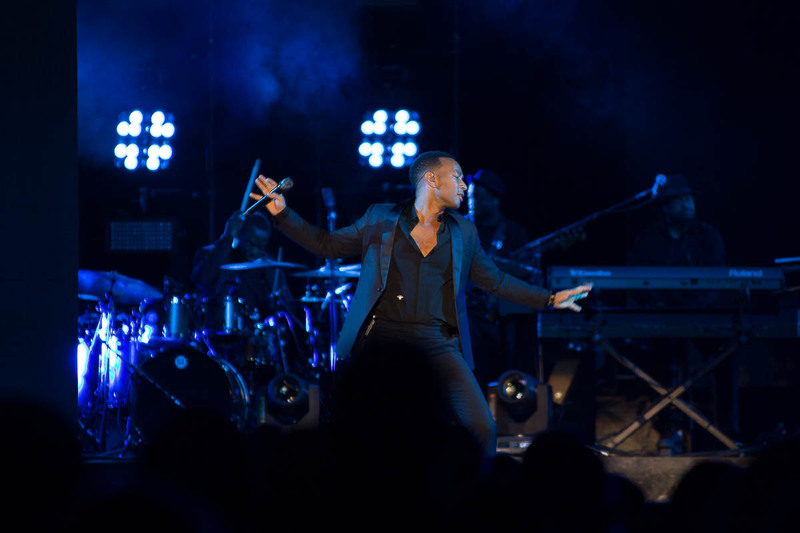 But just when some of his slower jams threatened to blend into a pleasant but indistinct mush, he slid into Overload – a collaboration with Miguel from the new record – which stood out with its staggering rhythm, sassy sax and brass interlude and Legend’s dreamy croon. 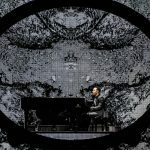 While plenty of highlights saw him tinkling the keys of his sleek, black Yamaha, someone you could be forgiven for supposing a reluctant showman was actually very comfortable twirling and jiving at the edge of the stage, and sharing family stories and gentle, sensual suggestions to lovers in the crowd between songs. 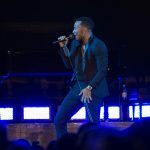 There were some genuinely affecting points of audience participation too – not least when he invited a delighted woman from the front row to come up and have a boogie, and especially during Ordinary People as he conducted the entire arena through an extended chorus before finishing with an a capella flourish. 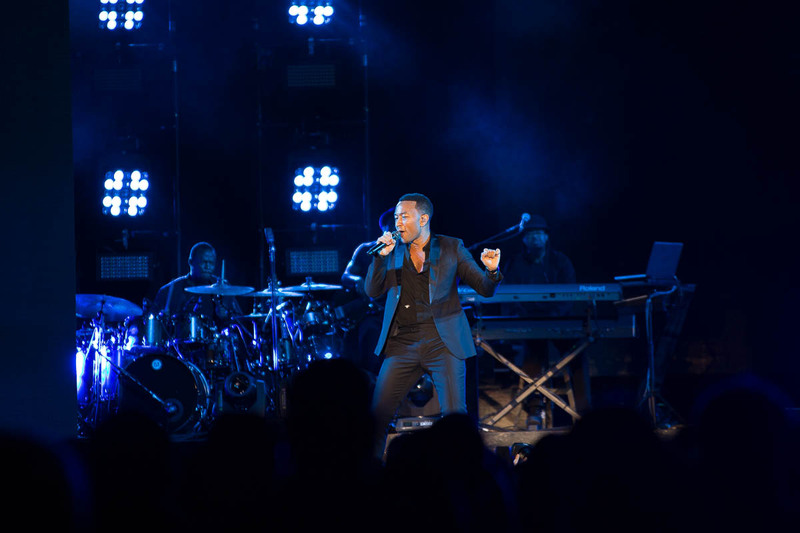 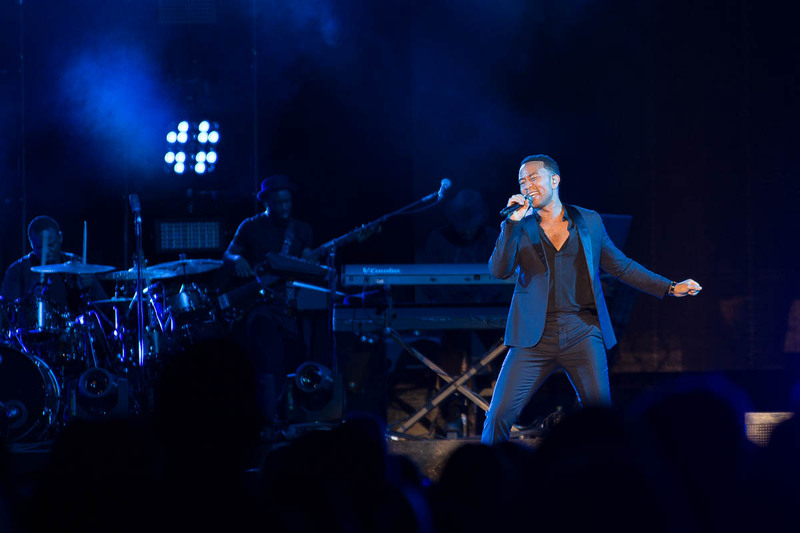 Legend began his encore on a sparkling, raised platform for All of Me – surprisingly still his only song to reach number one anywhere in the world – and signed off the Oscar-winning Glory, written as the theme for the film Selma and bringing the best out of the giant LED screens that flanked him with a moving montage of protest and progress. 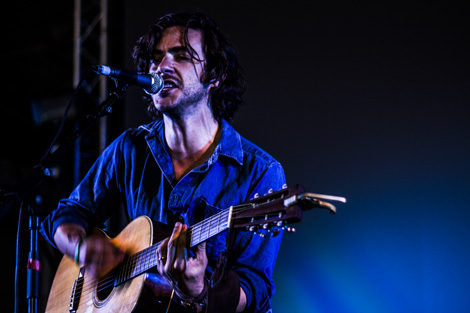 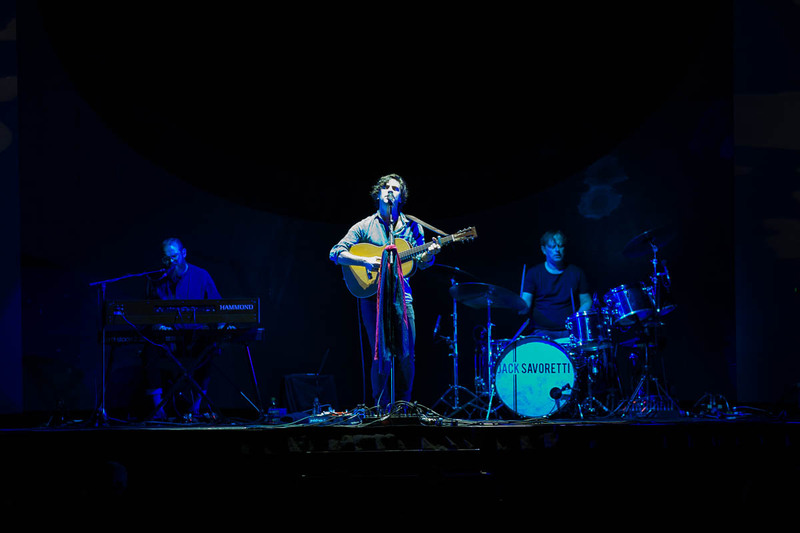 Earlier in the evening, Jack Savoretti had supplied an entertaining and impossibly husky half hour support slot. 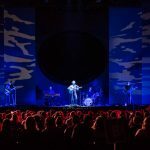 Highlights included the funky chops and jazzy flashes of Back Where I Belong, before he strained every sinew and somehow kept his vocal chords intact when rasping and roaring through Radio 2 staple Catapult. 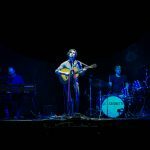 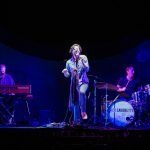 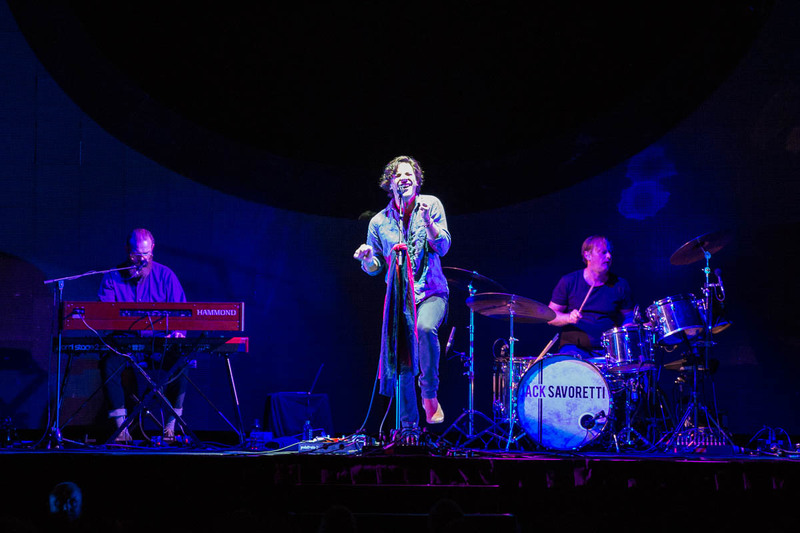 While he might not yet have troubled the charts to quite the same extent as Paolo Nutini, Savoretti offers strong competition in the gravelly-voiced pop hunk stakes; his potent delivery and the quality of his live performance carrying his songs high above the relatively safe ground they tend to occupy.